This Labyrinth Quilt designed by Bev Getschel of FreePatterns, The Pattern is available for free. The Seminole block turned sideways produces a delightful inner border on this Rail Fence quilt. Appliqued flowers enhance both the inner border and the pretty scalloped outer border. 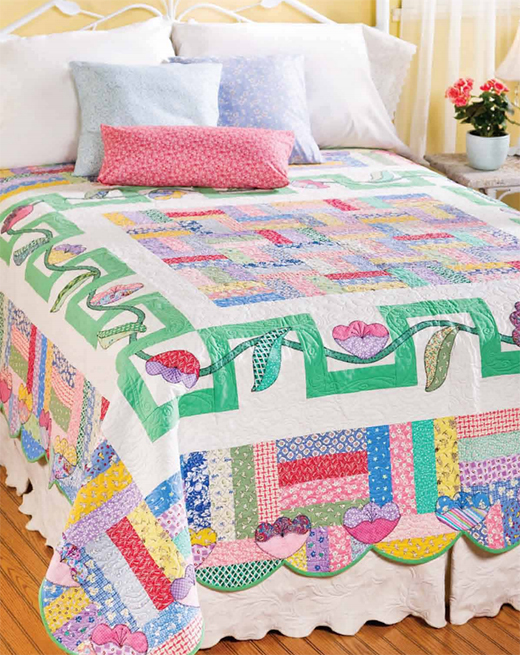 This e-pattern was originally published in the June 2010 issue of Quilter's World magazine.